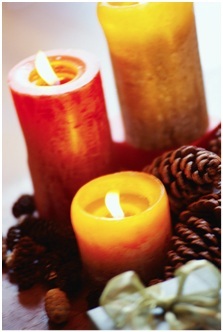 Candles are very pretty to look at but they are a major cause of home fires – and home fire deaths. A candle is an open flame, which means that it can easily ignite anything that can burn. Did you know that the top five days for home candle fires are: Christmas Eve, Christmas Day, New Year’s Eve, New Year’s Day and Halloween? Since we are half way through these festive days, we wanted to share some tips for the safest ways to use candles during your holiday celebrations. Use sturdy candle holders that won’t tip over easily. Keep candles far away from anything that can burn. Never light a candle if oxygen is used in the home. 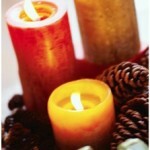 On average, a candle fire in the home is reported to a U.S. fire department every 34 minutes. 38% of home candle fires start in the bedroom.